« How to make and burn an ISO file to a DVD? How to resize and crop pictures? In this tutorial you would learn how to re-size and crop pictures. Simply right click on the image file you want to crop/re-size and choose the edit option. This would open up the image in the paint image editor. Press the “Select” button. Right click on the canvas and choose “Select all”. This would make a selection of the whole canvas. Click on the re-size button and a new window would pop up. 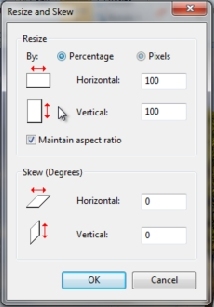 You can re-size an image by percentage or pixels. You can decrease or increase the size of the image by simply increasing or decreasing the percentage/pixels. Once you hit the “OK” button, the editor would automatically change the size of the image according to the values you input. 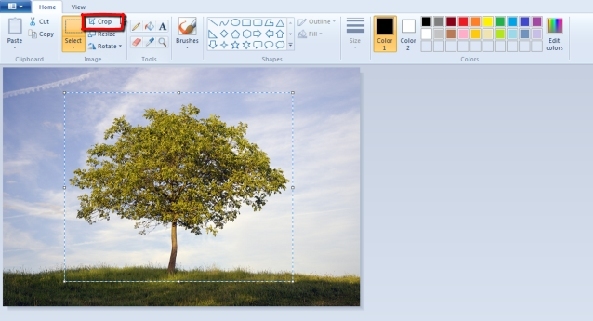 Using the select tool, make a selection on the canvas. 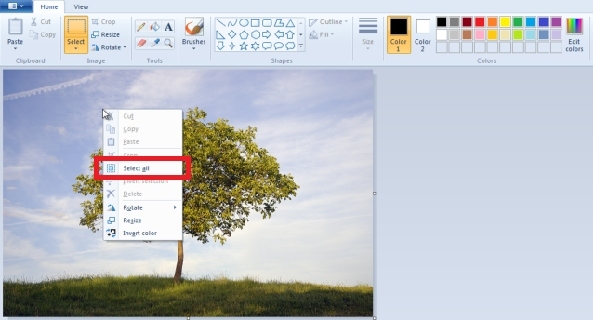 Now simply choose the “Crop” option and the image would automatically be cropped. 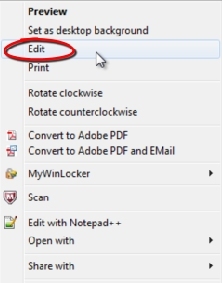 Once done with the image editing, you can save the output by going in the menu, choosing “Save as” and picking out the format you want the image to be saved in.